Research shows that the best birthday gifts for kids aren’t expensive toys or more “stuff,” but rather experiences that they’ll remember for a lifetime. This post is brought to you in collaboration with Chuck E. Cheese’s. I can’t remember a single toy that I got for my birthday growing up. That’s not to say that I didn’t receive any toys for my childhood birthdays — I know I had plenty of toys! However, those are not the birthday gifts that stand out in my memory. What does stand out is the 5th grade birthday party that I shared with my elementary school best friend. Our parents rented a bounce house and we invited our entire grade to celebrate. It was an epic birthday experience. But can you blame me? 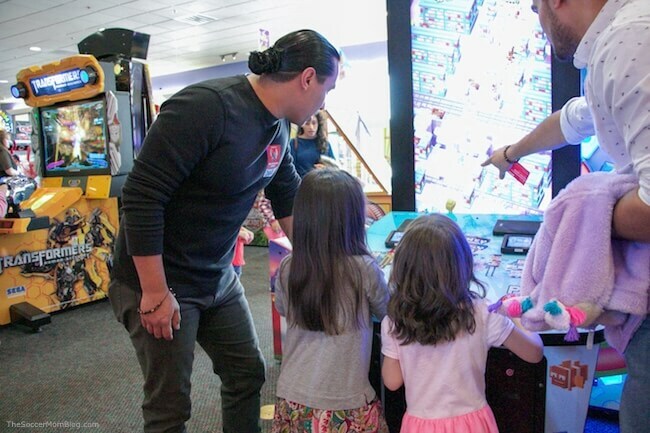 Chuck E. Cheese’s is amazing …especially when you’re a kid! We didn’t have one where I lived in West Virginia, so visiting our cousins in another state AND getting to go to Chuck E. Cheese’s was a dream come true! What’s even more interesting is that the same study found that people also consider experience gifts to be a better use of money than material things. As a parent, I see this play out with my own girls. Toy fads come and go, but our daughters still talk about the Chuck E. Cheese’s party we threw for our oldest last year. So much so that we decided to do a half-birthday celebration for all three girls this year, just for fun! Instead of gifts, our guests brought donations for a local children’s charity. 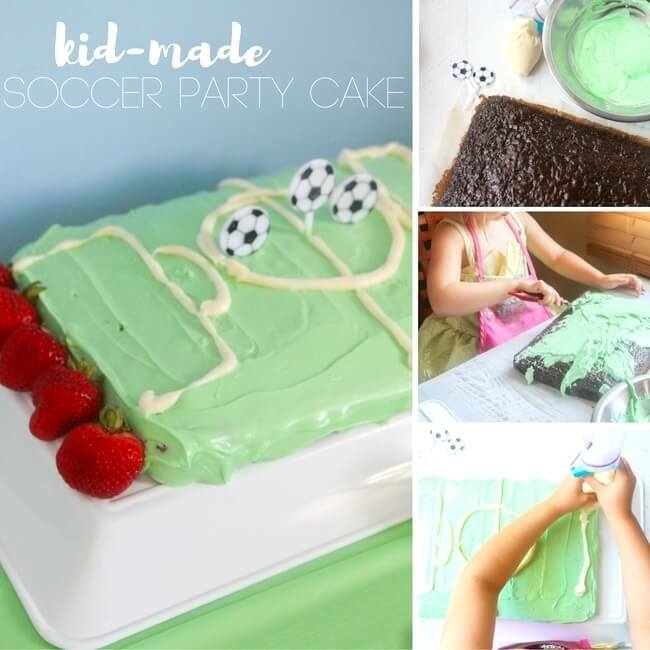 Pizza, games, prizes, cake, ice cream, music, and dancing — what else could a kid ask for? It’s easy to see why Chuck E. Cheese’s is America’s number one place for birthdays. Birthday packages start at just $14.99 per child and can be upgraded to All You Can Play for only $3 more per kid. We always do the All You Can Play upgrade because it’s an awesome value — unlimited games during the timeframe you choose. All You Can Play means there’s time for more games and you can win more tickets! Because we all know that feeding the tickets into the Ticket Muncher to see how many you earned is the best part of the day! 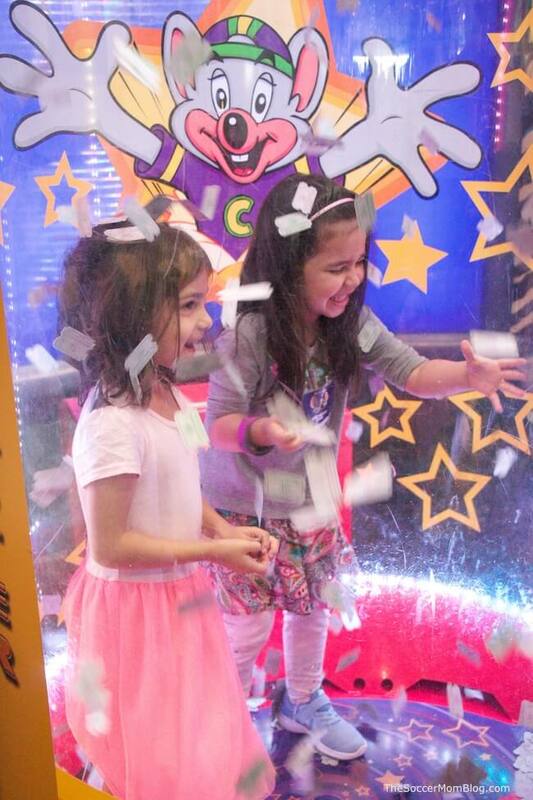 Speaking of tickets, the birthday star gets to step inside the Ticket Blaster and grab as many tickets as possible. They also have a chance to win the Magic Ticket, which is worth 500 tickets! Perhaps the best part is the fact that Chuck E. Cheese’s takes the stress out of party planning so my husband and I can actually enjoy the party too! Instead of cooking and cleaning all day, we get to play games too. 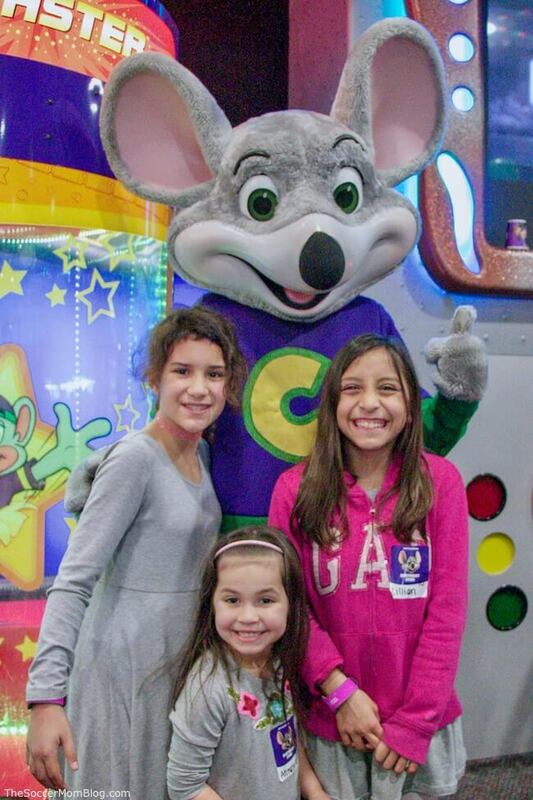 Not only is a Chuck E. Cheese’s party a mess-free birthday party, but it’s one where we parents can join in the fun! My husband and I have an on-going competition in the basketball hoops game! Chuck E. Cheese’s also helps with party planning, with free customizable email and/or text invitations, a super helpful party host for your group, and goodie bags (with some packages). Related: Click here to see even more things you can get free at Chuck E. Cheese’s! 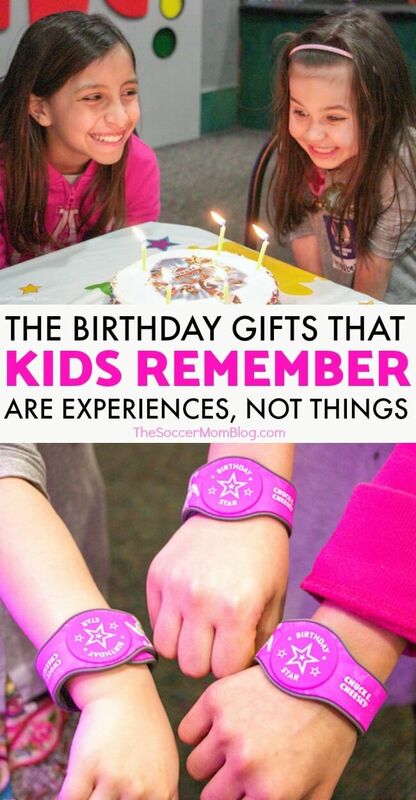 The next time you’re planning a birthday party, go for the experience that your kids will remember for a lifetime! Click here for more information about planning an epic Chuck E. Cheese’s birthday party. What was your favorite birthday experience as a kid? Share in the comments below!